Supporting the mental health and wellbeing of young people in care is the focus of a new campaign launching in Hampshire this month. ‘Hear Me’, the year long campaign run by Sussex Partnership NHS Foundation Trust’s Child and Adolescent Mental Health Service (CAMHS) in Hampshire, will focus on the vulnerable population of looked after children and young people, which includes those who are in foster care, children’s homes, adopted, in kinship care, and those who are on the verge of going in to care. Across Hampshire there are over 1,600 children in care. According to Ofsted, over 70,000 young people in the UK are in care, which equates to around 1% of all young people in the country. The new campaign will provide opportunities for young people to gain skills to help enhance their feeling of self-worth, empower them to achieve their potential, increase self-confidence and in turn, improve their mental health and emotional wellbeing through various activities and events including projects with schools, art installations and drama courses. Another aspect of the campaign will be to train and advise the network that supports vulnerable young people in care. Free to attend, the Advanced Better Care (ABC) Training will be delivered over four days in venues across Hampshire and will be available for social workers, professionals working with young people, adoptive parents and foster carers to attend and find out more information about difficulties such as managing challenging behaviour, anxiety and trauma. Lao Cooper, Head of Service for Hampshire CAMHS, said: “We are very pleased to launch our new campaign, ‘Hear Me’, and this year we are proud to be focusing on emotional wellbeing for children in care. “Anyone of any age can experience a mental health difficulty, and for children in care, children on the edge of care or young people who might already be experiencing many challenges in their lives, it is so important that any difficulties are understood and supported. 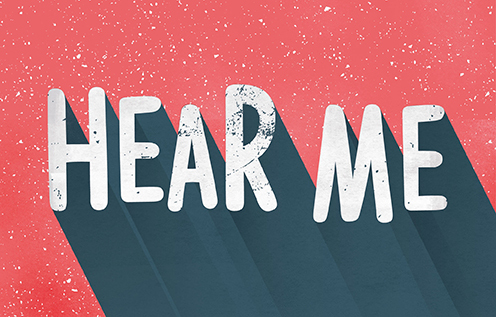 ‘Hear Me’ follows the success of last year’s ‘Everybody Campaign’, which raised awareness of eating disorders and the importance of self-esteem and a positive body image. For more information about Hampshire CAMHS and the Hear Me campaign, go to www.hampshirecamhs.nhs.uk.